At the start of the Winter 2013 season, I reviewed Say I love you, a work from the previous season. I decided to make this into a recurring thing where I take a 12-13 episode show from the previous season and make a review out of it. Now the Winter season is a bit over due thanks to my busy semester. However, I’m going to remedy that right now with the series I was excited for before the season began. 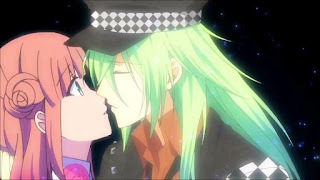 Amnesia is a 12 episode Romance series based on the visual novel from Idea Factory. 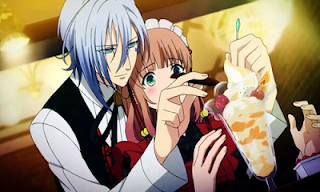 The anime series comes from director Yoshimitsu Ohashi and Brain’s Base Studio and ran during the 2013 winter season. As of posting this review, it is currently licensed by Sentai Filmworks but with now released dub. Brain’s Base is one of my top 3 animation studios up there alongside Gonzo and Bones. Some of their past work includes Baccano, Princess Jellyfish, and My Little Monster. So it’s going to come as no surprise when I say how near flawless the animation for Amnesia is. The use of color and flow is really well done and I commend Brain’s Base for this. Coming from the bombastic colors of My Little Monster from the previous season, this is a nice change. I also want to point out the opening theme. Not only is a wonderful track and is easily in my top 10 opening of this year, but they decided to play around with the animation as well, making it become brighter and more colorful as the series roles on an as our Heroine starts to get some amount of clarity. Amnesia doesn’t really have a good story to it. For the entirety of the series it’s like a normal dating sim stereotype where we spend some episodes with each of the five guys the Heroine gets to date. I was fine with this idea for about half way through the series. Then we reach out Guy of Diamonds and then from there on s*** hits the fan so hard that it took me out of it so bad. From that point on, it turns into a jumbled mess of plot holes and insane characters that I completely lose what it was trying to do in the first place. This tactic was fine with School Days because we hated the characters. But in Amnesia’s case it was a terrible idea. Speaking of the characters, they aren’t much of an interesting mix. The five main male characters in particular are mostly certain kinds of stereotypes and are each represented by a card suite plus the Joker. The only one that breaks this mold in some way is Ukyo and his split personality. Out of all the main male characters I really enjoyed Kento’s story the most because of how realistic it really is to me. We’ve all been in that situation where we’ve never dated someone before and don’t really know what to do or what to think. The one episode we had this, I loved the most. The downside for this is we only had one damn episode.... As for our Heroine, she’s kinda meh to me. Granted she has amnesia, however that doesn’t mean your common sense goes out the window; especially when you have some semblance of memories in the later half of the series. Sadly, I really couldn’t root for her or become attached because she was dazed and confused and very flat. Again as of this review, Sentai Filmworks hasn’t released a dub so this is going to be strictly the Japanese track on this one. 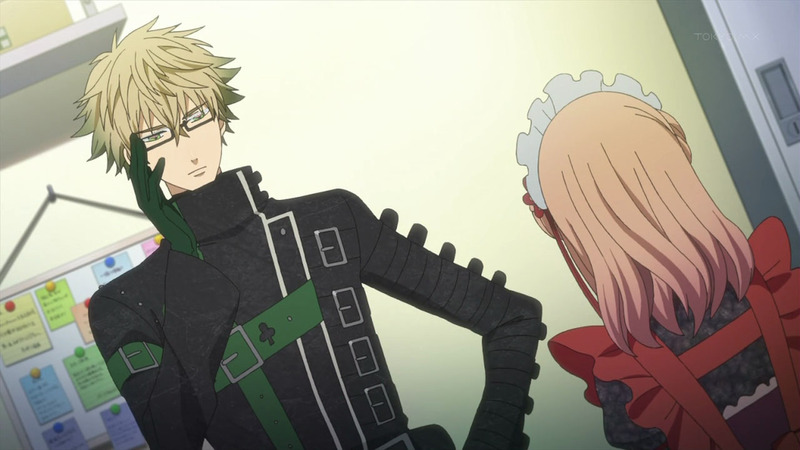 The cast of Amnesia was tolerable at best. There weren’t any real stand out performances of the bunch. The only ones I want to give some credit to are Kouki Miyata as Ukyo and Hidenori Takahashi as Waka. For Takahashi, I loved that with every world the Heroine is sent to that Waka is complete different each time. One world he’s a regular guy, the next world he’s a raging a**hole, and in another extremely flamboyant. It the most fun I’ve seen in a voice acting role for a while so kudos to him. As for Miyata, it’s a similar situation except for split personality and fighting with yourself. That also takes some work to pull off and I commend Miyata on that. Overall, Amnesia is nothing more than a pretty face that has very little substance to it. There are times where it can really really enjoyable, however they mostly happen when you turn your brain off. That’s something I had to do once I got towards the last 3 episodes. At the end of the day, it’s just an adaptation of a dating sim like most others and does nothing to really stand above and beyond. I personally think you can pass on this one. At least I now know that you can’t judge a series by it’s pretty animation. Next time, we go to war. A Holy Grail War. Until next time, otaku on my friends!